John Eckhardt highlights what the Bible says about healing, and gives you a way to use those verses to bring God's power in people's lives today. Want to know what the Bible says about healing? Healing and deliverance are the two most central parts of your salvation experience. It is God's good pleasure to heal you of all your diseases and to set you free from the hand of the enemy. One of the ways to activate these salvation benefits in your life is through faith in God. Even our small, mustard seed faith can move the mountains of sickness, disease, and demonic oppression. 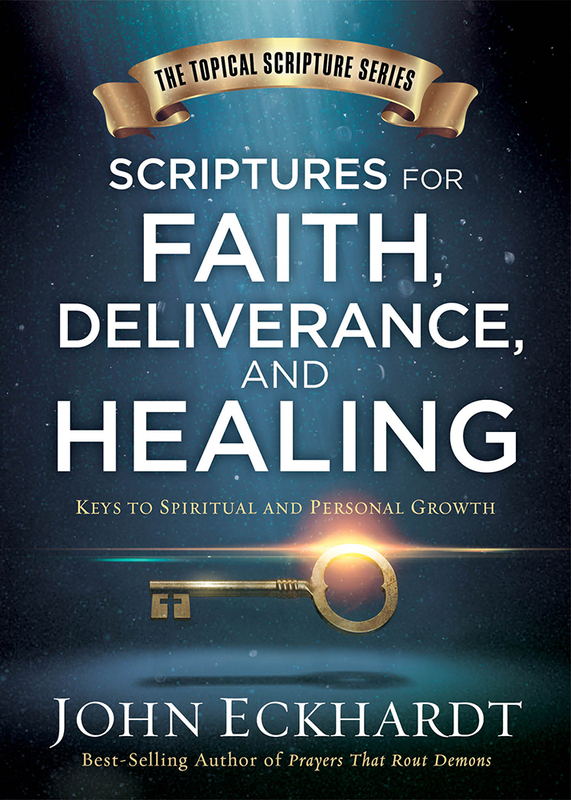 Best-selling author John Eckhardt provides this handy reference tool for those who want to have a greater understanding of healing and deliverance to incorporate God's Word into their prayers. 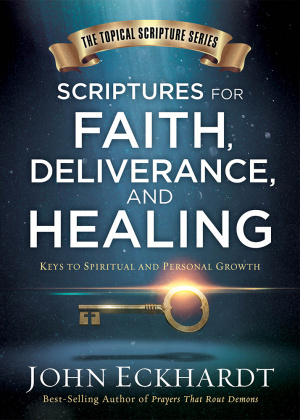 Scriptures for Faith, Healing and Deliverance by John Eckhardt was published by Charisma House in October 2017 and is our 27145th best seller. The ISBN for Scriptures for Faith, Healing and Deliverance is 9781629991368. Be the first to review Scriptures for Faith, Healing and Deliverance! Got a question? No problem! Just click here to ask us about Scriptures for Faith, Healing and Deliverance.